A small suburban Atlanta medical practice was burdened with hundreds of calls daily and needed a better way to serve patients seeking appointments and information without compromising the care provided to those already in the office. Office staff deployed engagement tools from eClinicalWorks, including Patient Portal, online booking, and healow apps, in order to encourage patients and providers to exchange information, privately and with greater convenience, both inside and outside of regular office hours. Within a year of implementing Patient Portal, the practice had reduced the average number of daily phone calls from more than 500 to approximately 100 — a reduction of about 80% — while improving customer service and convenience. 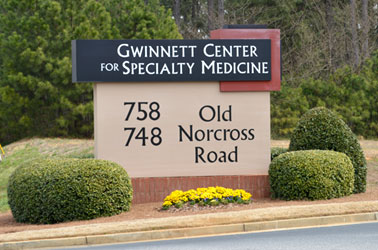 Gwinnett Center Medical Associates is a small suburban Atlanta medical practice, with four providers — one doctor and three mid-level providers — that sees an average of 130 patients daily. Given that primary care physicians continue to be in short supply nationwide, the practice anticipates that demand for its services will continue to grow in the years ahead, requiring creative solutions for more efficient workflows and practice sustainability.